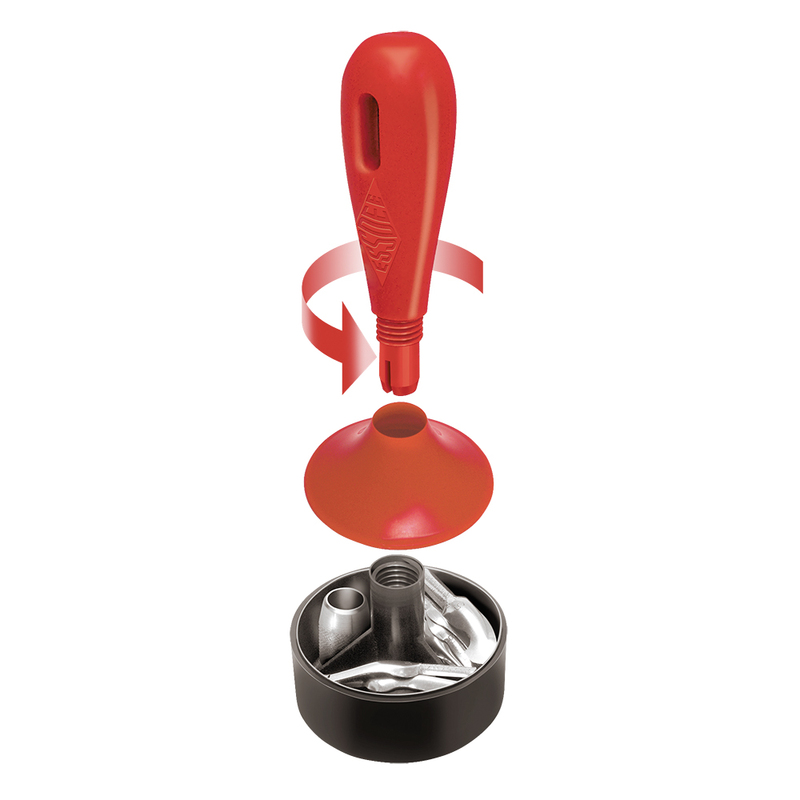 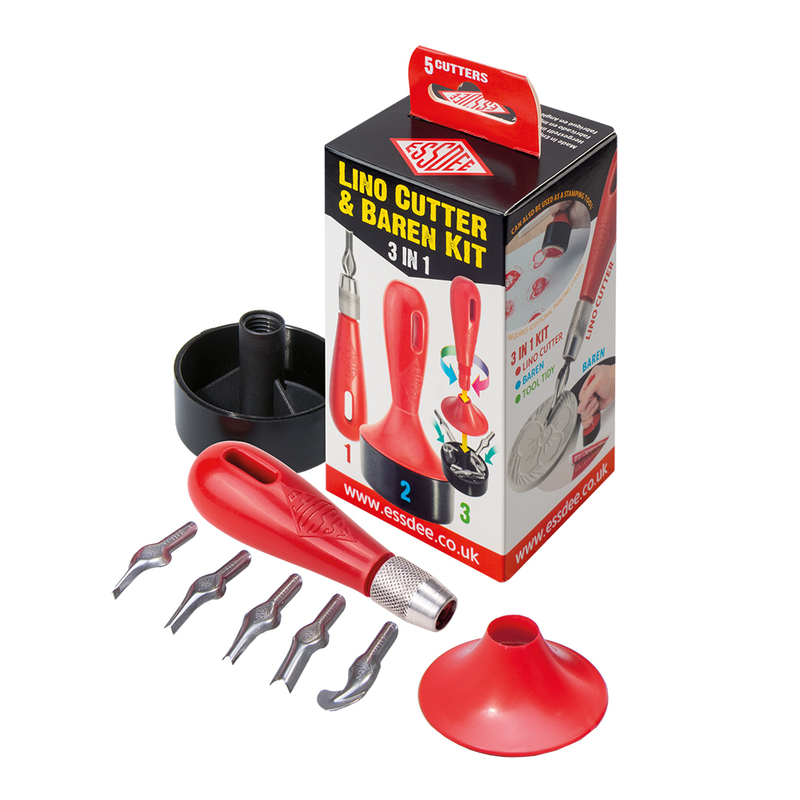 This versatile kit can be used as a Lino cutter with the included handle and cutters, as a Baren which is used to transfer ink from block to paper, and as a storage unit for the cutter blades. 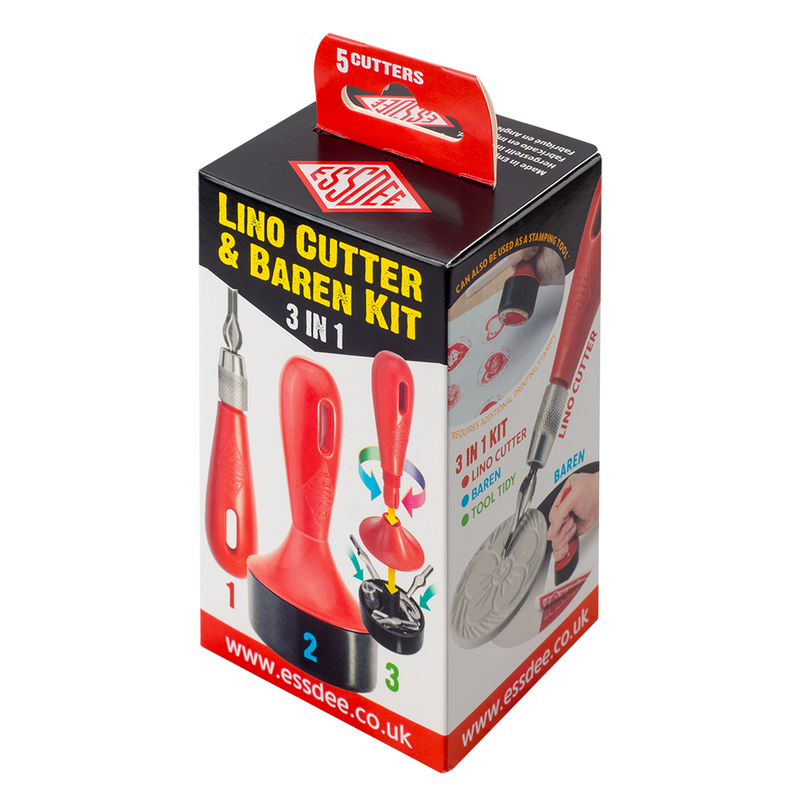 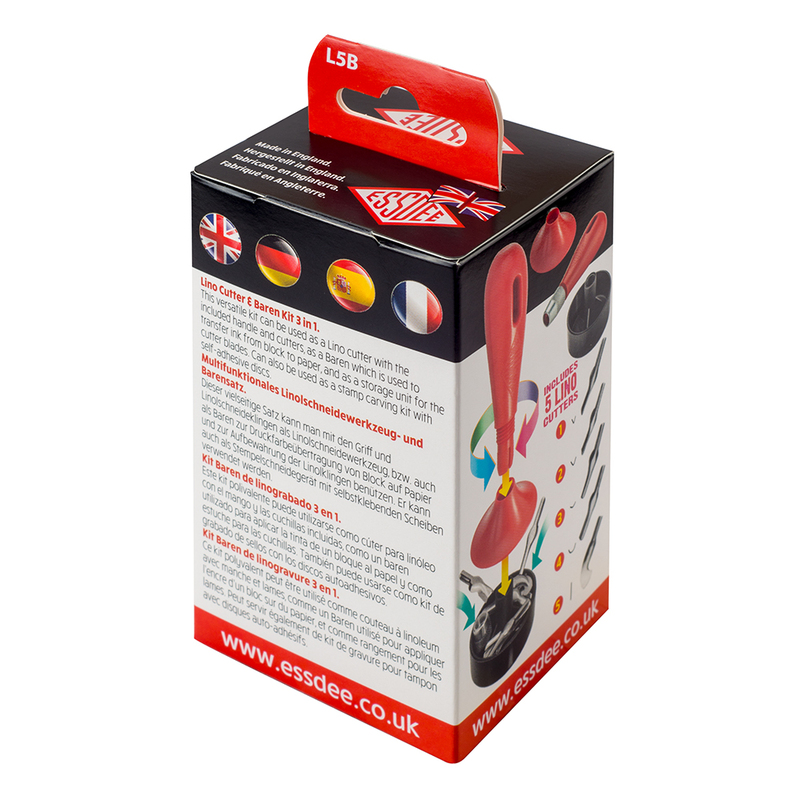 It can also be used as a stamp carving kit with self-adhesive discs. Includes five different cutters.